WHEN ADOLF HITLER went to war in 1914, aged 25, he lived through what he would later call the ‘most stupendous experience of my life’. Twice decorated for bravery, the future dictator thrilled to battle, relished violence and was willing to give everything for his beloved Fatherland. He heard of Germany’s defeat as he lay immobilised in a hospital bed, temporarily blinded from mustard gas. He opened his eyes on a terrible new world, of Germany’s loss and humiliation, the flight of the Kaiser, a Marxist uprising in Bavaria and the destruction of his beloved army. Hitler would never accept Germany’s defeat or the terms of the peace settlement. Out of his fury arose an unquenchable thirst for revenge, against the ‘November criminals’ who had signed the armistice; against the socialists whom he blamed for stabbing the army in the back; and, most violently, against the Jews, on whom he would load the blame for all Germany’s woes and whom he considered a direct threat to the German master race of his imagination. The seeds of that hatred lay in Hitler’s youthful experiences, growing up in Linz, Vienna and Munich, and as a young soldier in the Great War. By peeling back the layers of Hitler’s childhood, war record and early political career, Paul Ham’s Young Hitler- The Making of the F3hrer conjures the ordinary man beneath the myth and seeks to solve the riddle behind the enigma of the Nazi leader. What turned ‘a Viennese bum’, as Goring later damned him, into one of the most brutal dictators in human history? 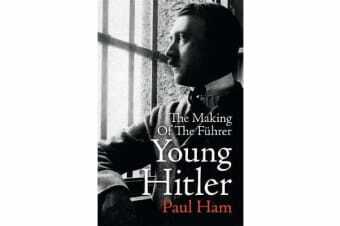 How had Hitler’s first war, the defining years of his life, affect his rise to power? In a broader sense, was Hitler a freak of history? Or rather an extreme example of a recurring ‘type’ of demagogue, who thrives in chaos, revolution and economic collapse? Who will do and say anything to seize power? And who personifies in his words and actions the darkest prejudices of humankind?